“There is nothing to fear except the persistent refusal to find out the truth, the persistent refusal to analyze the causes of happenings.” Dorothy Thompson. 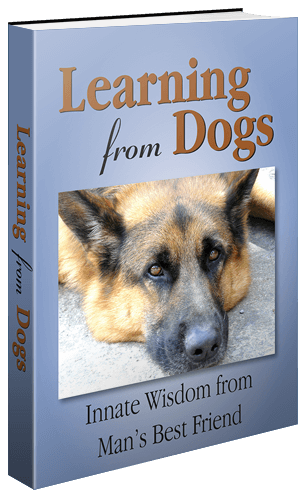 The purpose needs to be read in conjunction with the Vision for Learning from Dogs because the two provide a rounded approach to what we seek to achieve – with the help of you, dear Reader. Promulgate the idea that integrity is the glue that holds a just society together … urgent need as society under huge pressures …. want a decent world for my grandchildren … for all our grandchildren …. feels like the 11th hour…. But as the initial, rather hesitant, start to the Blog settled into a reliable, daily posting, and as the minuscule number of readers steadily grew to the present level of many hundreds each day, the clarity of the purpose of Learning from Dogs also improved. Because, while it may sound a tad grandiose and pompous, if society doesn’t eschew the games, half-truths and selfish attitudes of the last, say, 30 years or more, then civilisation, as we know it, could be under threat. Or, possibly, it’s more accurate to say that our civilisation is under threat and the time left to change our ways, to embrace those qualities of integrity, truth and consciousness for the very planet we all live on, is running out. So what has this to do with dogs? Simply that man’s best friend, a relationship that goes back tens of thousands of years, is still a wonderful example of the many qualities that we need now for the very survival of the human species. I saw your comment on Val’s blog so I decided to pop over and visit. Dogs are the best teachers. God spelled backward. Most are wonderful creatures though I have run into a few that were treated in a way that made them behave badly. We are indeed in need of integrity on our world. I have always used the word honor but integrity is a perfect word too. I’ll visit again. Thank you for calling by and even better than that for leaving your thoughts. We do look forward to seeing you again.